The French rider (born 15/07/2004)- first stood out in the Promovelocidad Catalan Cup, organised by the Catalan Motorcycle Federation, when he finished first in the PW50 class. In 2015 he moved up to the Promo 1 class and contested four of the eight rounds. The following season he completed the entire year in the series, finishing fourth in the overall standings. 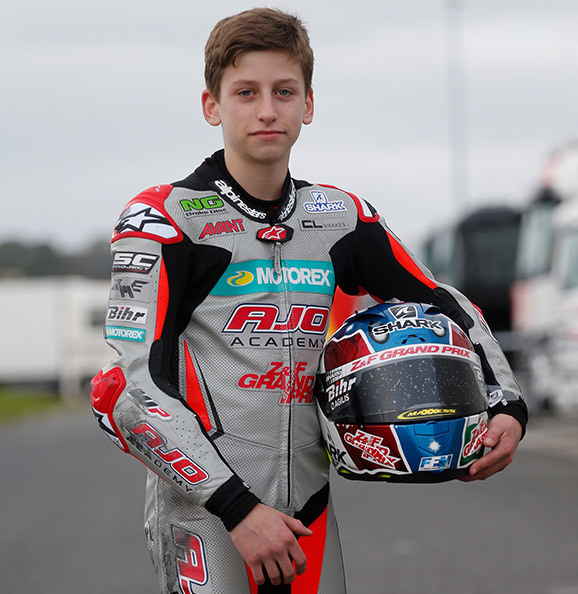 His good results in the Catalan competition allowed him to join the Ajo Motorsport Academy in 2017, to compete in the PreMoto3 class of the RFME Spanish Championship. His best result was a fifth place at Alcarrás and he ended the season in 11th place, with a total of 37 points. In 2018 he debuted in the European Talent Cup with the objective of continuing to evolve his riding, with the help of the Finnish team.